Bad news for fans of 'homebrew' on the Nintendo DS (read: illegal file-sharing pirates) with the revelation today that Nintendo's new DSi console will not run copied games saved on an R4DS cartridge. Well, until some intrepid coder comes up with a workaround, that is. 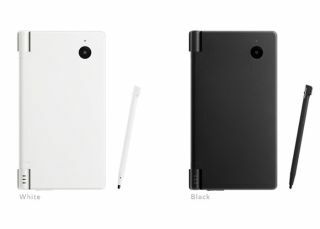 With its improved screen size, two new cameras for EyeToy style gaming on the go (and Wario: Photograph already announced in Japan) as well as a new music player and (Mario-moustache-addable) photo viewer the DSi cannot arrive in Blighty soon enough. Nintendo has taken legal action against Japanese retailers selling the infamous R4DS 'back up' carts this year , it has now been revealed that the new DSi won't let you use old R4s in the latest hardware. An early DSi adopter has posted videos of his attempts to try out R4DS on the DSi.